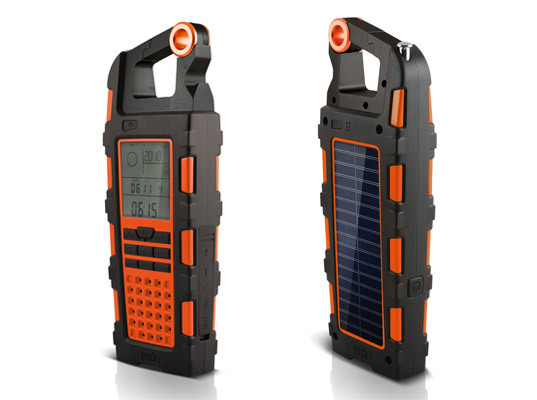 We’re total fanboys when it comes to Etón’s handy solar-powered radios so we were stoked when they announced the newest addition to their lineup – the Raptor. The nifty solar-powered device can be used as both a USB charger for small devices and a radio and weighs just over 11 ounces. It also features an LED flashlight, audio line and DC input, battery charge indicator and a bottle opener (nice). The Raptor has an 1800mAh rechargeable Lithium Ion battery hooked up to a high-efficiency monocrystal solar panel. “Packed with features, the Raptor houses the ABCs of an outdoor adventure tool; altimeter, barometer and compass,” writes Etón in its release. 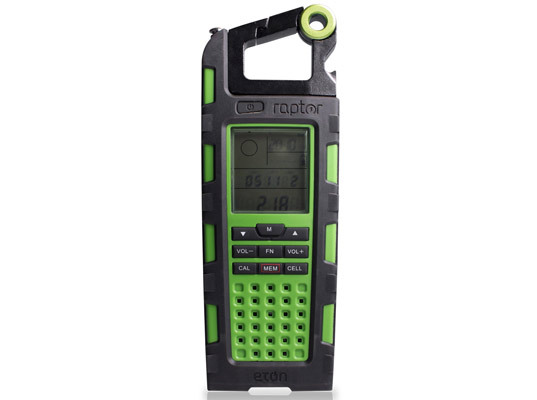 We're total fanboys when it comes to Etón's handy solar-powered radios so we were stoked when they announced the newest addition to their lineup - the Raptor. The nifty solar-powered device can be used as both a USB charger for small devices and a radio and weighs just over 11 ounces. It also features an LED flashlight, audio line and DC input, battery charge indicator and a bottle opener (nice).